Want to know what it’s like to fly with Wizz Air? It’s a Hungarian low-cost airline that offers cheap flights throughout Europe. They’re constantly growing their business, and start flying to new destinations. I’ve flown with Wizz Air at least 10 times in the last 2 years, mostly to Hungary, but also to Poland and Republic of Macedonia. So, I think it’s about time to make a proper Wizz Air Review and share my experience with you! 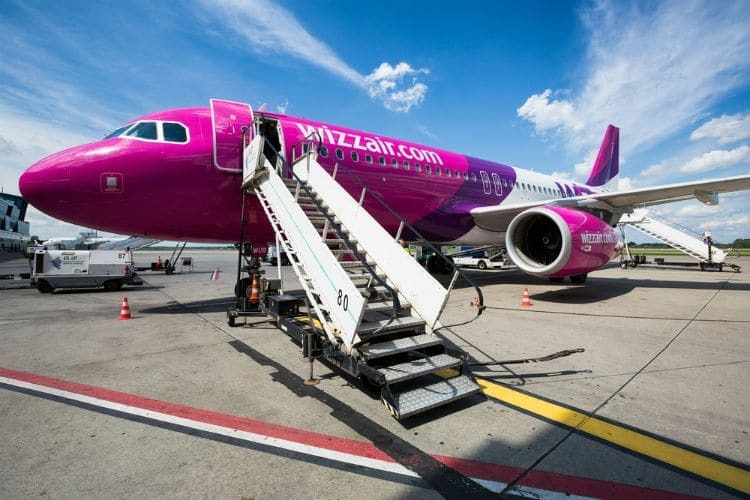 This is basically everything you need to know about Wizz Air, including luggage size and weight, boarding, service, discounts, pros, and cons as well as Wizz Air’s destinations and operating airports. You can also read a bit more about the Wizz Air Planes and some company history. 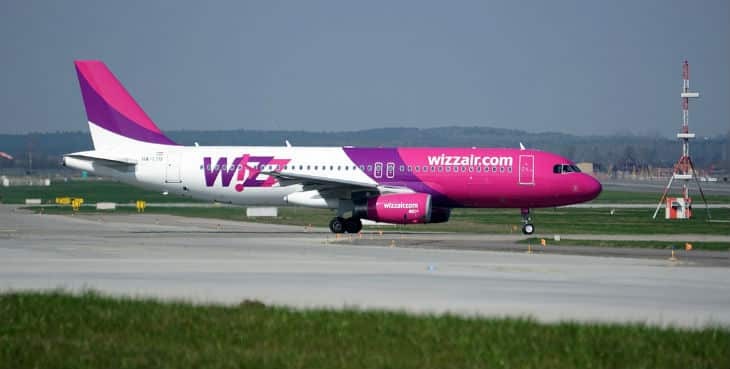 I prefer to use a search engine like momondo and Skyscanner before I book my flights, but you can easily search directly on the Wizz Air website if you already know your final destination. No matter if you’re on a computer, tablet or phone, it’s pretty straightforward to book your Wizz Air tickets online. 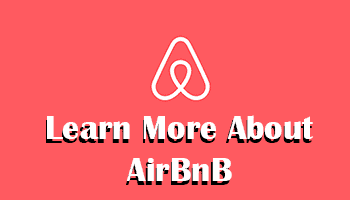 You can easily check in online, or via their app without additional cost. Then you get the boarding pass that you can print or show from your smartphone/tablet. I prefer to use my smartphone as it’s more convenient and environmentally friendly. If you want to check in for your Wizz Air flight at the airport, there’s a surcharge of €10 if you choose it while booking your ticket. 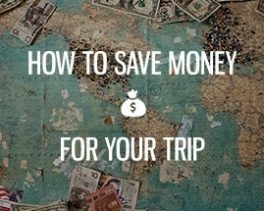 If you simply show up at the airport without a boarding pass or if you haven’t chosen airport check-in when booking the ticket, the cost is €30. This is of course totally unnecessary to pay for, so just do yourself a favor and download their free app for iPhone or Android phones. In terms of check-in otherwise, it often goes quickly without hassle. That is if you don’t have any excess weight or too big luggage. In that case, it will take a bit longer, and you’ll have to pay some penalty fees. From my experience, Wizz Air is pretty strict about their rules, so to make things easier, just follow these two simple steps to avoid any hassle. If you have a luggage scale it’s super simple to check the weight before you leave home. For free hand luggage: 55 X 40 X 23 cm and max 10 kilos. Checked bags cost extra: Maximum weight is 20 kilos vs 32 kilos depending on what you choose. In total, you can bring up to 6 bags per person. If you don’t have a priority member pass, you’re only allowed to bring one item. The small cabin bag is for priority members only, and the maximum size for that is 40X30X18 cm. The Wizz Air planes are either of the model Airbus A320-200 or Airbus A321-200, which are some of the most common average sized aircraft. During the period of 2019-2024, they have also invested in the newer model Airbus 321neo. Something that does grind my gear a bit is the fact that the gate closes 30 minutes before boarding, which results in people standing in line way before the actual boarding starts. 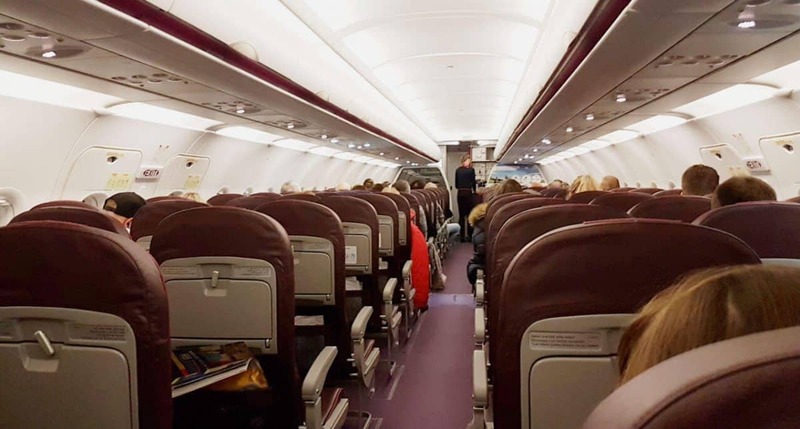 It’s not like this everytime you fly with Wizz Air, but about 50% of the times I’ve flown with them, it’s been like this. Not even once has the gate closed 30 minutes before departure, so people are standing in long queues for nothing if you don’t want to be the last person on-board. It would’ve been a much better boarding experience if they urge passengers to not stand in line before the flight is ready for boarding. This is almost the only remark I have about Wizz Air, and it’s something I hope they will improve. It’s not a deal breaker, but it’s pretty annoying. However, for being a low-cost airline, it’s still great. My experience of the service on board Wizz Air is that their cabin crew is always polite and smile. Their check-in staff, however, are more strict when it comes to luggage size and weight, which isn’t a bad thing per see. After all, rules are not meant to be broken. The cabin crew speaks English most of the times, which is great, but the most important part is that they’re accommodating and friendly. Whenever we’ve wanted to switch seats, they have helped us. Serving of snacks and beverages is great, and if you have any questions, just push the button above your seat and the flight attendant will come shortly afterward. Prices for food and drinks are reasonable, and not as overpriced as some other airlines. If you know that you’ll fly with Wizz Air often or at least a couple of times a year, you might want to join the Wizz Discount Club. Free seat selection (first rows included). Get to bring an additional small cabin bag for free. Your cabin bag is guaranteed on board. Let’s take a closer look at some of the positive things and some negative aspects as well. Not as comfortable as more luxurious airlines. Strict rules about weight and size. That you may have to stand in line for 30-45 minutes before boarding the plane. How tight is the leg room? 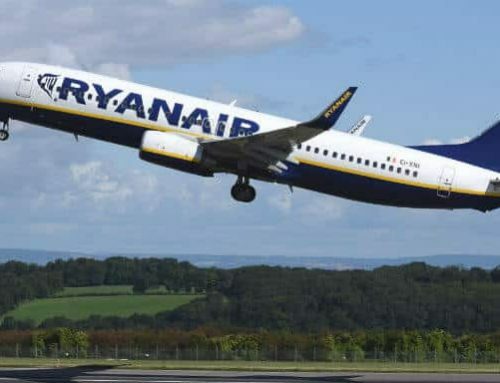 If you’re a taller person it might feel a bit tight, but it’s not really any difference compared to other low-cost airlines such as Norwegian or Ryanair. It’s not a luxury airline, but it works fine since it’s not a long-haul flight. I’m 182 cm, and I’m fine with the leg room. I’m comfortable for a few hours, or at least as comfortable one can be in economy class on any flight. The seats are quite nice, and the leg room is pretty much the same as other airline companies in economy class. If you want, you can always book a seat at the exit rows for more leg room. What happens if you don’t follow the carry-on size and weight? Then you will have to pay the penalty fees at the airport or see your luggage or yourself be left on the ground. Wizz Air is strict with their rules, and by my experience, it’s only a few of their staff who make exceptions. 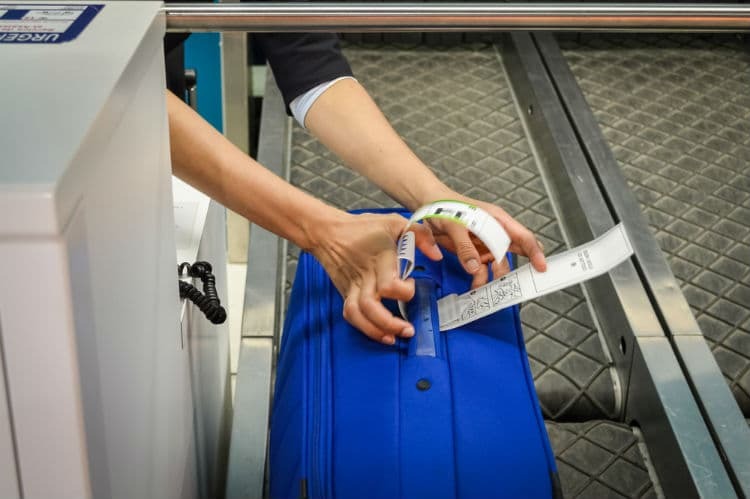 Since 2017, they have actually changed their baggage policy and switched their former smaller cabin size restrictions into a more standardized size, and 10 kilos. That’s pretty generous, so just make sure to follow that, and you don’t have to worry about “what happens if you don’t”. What to do if you wanna change flight? It’s possible to change your flight for a fee. How to reach Wizz Air customer service? Where can I find a Wizz Air discount code? You can always sign up for their newsletter to receive the latest news and offers. For even better discounts on Wizz Air flights, I suggest that you sign up for an annual membership in their discount club. Across Europe, there are many Wizz Air destinations you can fly to. The airports they operate from are most of the times located a bit further outside the cities, where it’s cheaper to land and take off. As an example, when flying to Stockholm with Wizz Air, you will arrive at Skavsta Airport instead of the main international airport – Arlanda. These are just some of the Wizz Air destinations. You can see a full list here. The flight company was founded in 2003. It’s a low-cost airline with a base in Hungary, which also has an affiliate company in Ukraine. 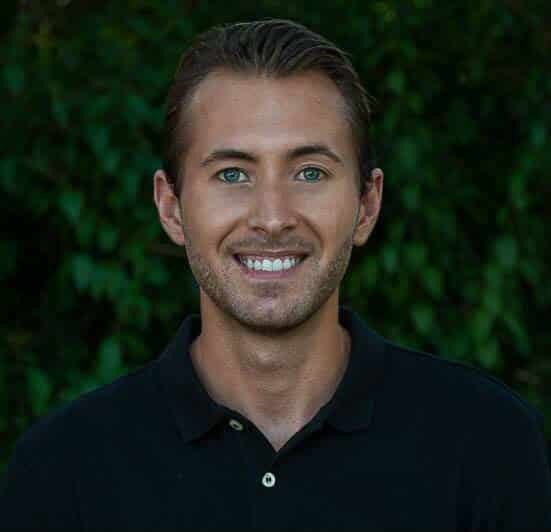 The main owners are an American company, called Indigo Partners. Wizz Air completed its first flight 19 days after Hungary and Poland were welcomed as members of the European Union. Since then, the passenger traffic has increased a lot, and continues to grow each year! A large increase came after the Hungarian Airline company Malev went bankrupt. 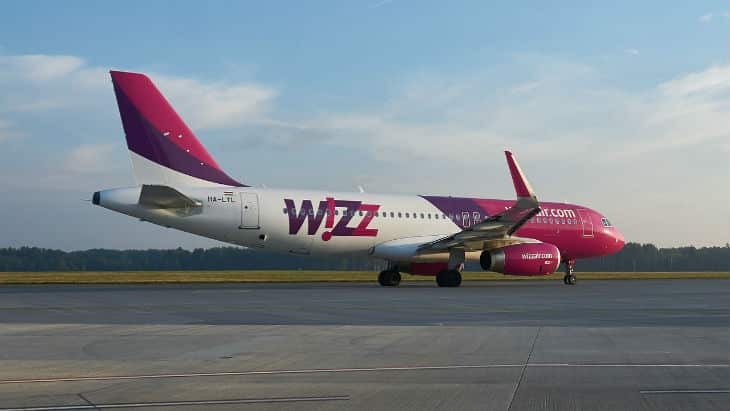 In connection with that, Wizz Air acclaimed a lot of the passenger traffic from Malev. The main destinations where you can find Wizz Air flights are within Central Europe and Scandinavia, but they also have 2 destinations outside Europe: Istanbul and Dubai. Just as with most airline companies, especially low-cost airlines, there are good and bad experiences. 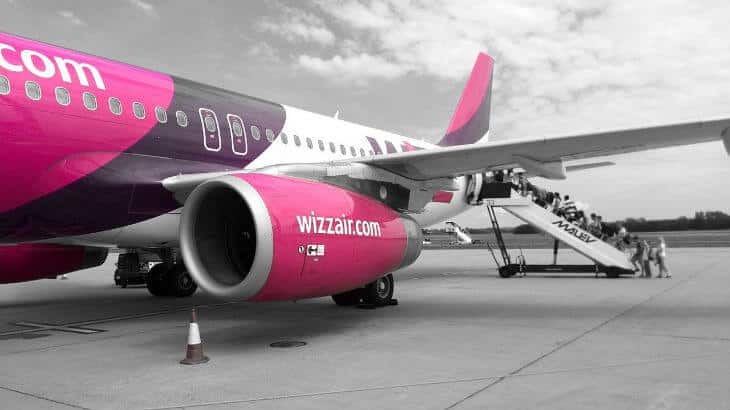 In some situations, I’m sure this airline company could’ve dealt with it differently, but in general, I will say that you’ll probably be fine when you fly with Wizz Air. This isn’t a luxury airline, it’s a low-cost airline that will get you from point A to B, or some cases even to point C if you have a stopover. And as long as you know that beforehand, it’s not very different from other airline companies such as SAS, Norwegian, Lufthansa and so on. If you’re a tall person, the leg room might not be as comfortable, but it’s usually not much different compared with other low-cost airlines. Most of the times no problems as long as you follow their weight and size restrictions for hand luggage. Do you also have any experience of flying with Wizz Air? I’m looking forward to hear your thoughts! the article seems to be written by a Wizz worker. There are tons of bias as “accommodating ” but “strict about rules” that means is not accommodating. I am about to use Wizz tomorrow and I am tense already. It will be probably my last flight. Blessings. No bias here, and I’m in no way affiliated to Wizz Air. This is solely my own experience from flying with them. Rules are rules at the end of the end of the day, and being strict about it doesn’t mean that you can’t be accommodating in other ways. Their measurements and size restrictions are clearly displayed when booking your ticket. And the cabin crew has always been friendly and helpful on my Wizz Air flights. Feel free to share your own experience after tomorrow’s flight, and also include from where you flew and to where. It will help other travelers in the future. I came across your blog because I was searching for information on Wizzair. Thanks for sharing your experiences! I am flying with Wizzair myself tomorrow and was wondering what your experiences are with your name on the ticket. I used my first name, middle names and last name, but online I am reading that people only used their first and last name. Customer service is not really straight forward about this topic either, so hopefully, you can help me with this question. According to the rules, you should use the first name in your passport. You don’t need to enter middle names. But to be on the safe side, if you can add middle names, please do so. I think it might be different depending on the Wizz Air staff at each airport to decide whether or not it’s okay. Feel free to update how it went. It’s ok saying check in online, but what if you have no way of getting onto their website or app for 24/48 hours? The robbing bastards charged me €55 euros to check in . Went to a desk told me go to ticket sales, told pay the fee or don’t fly then had to stand in another queue for 20 minutes. Slow, rude unhelpful staff. Customer service is non assistant. As for gate closing and that’s why people queue early, rubbish. If the gate was shut you wouldn’t be able to board. People queue for ages so they can get on the plane quicker but as long as you are at the boarding gate for the time stated you will get on. Hi Alex, I have a flight with wizz and I wanted to ask you if the really checked the weight of your hand luggage? I’m flying from Vienna airport and have only hand bag that is allowed 10 kg, and in that case I don’t have to pass the check in .. I can go directly to the gate I assume. So it can be possible that they won’t really check the weight of my hand luggage? because usually airlines do it in the check in counter and not in the gate. Hope that you can clarify this issue from your personal experience. They might check the weight, but if you have a large carry on added, they probably won’t. 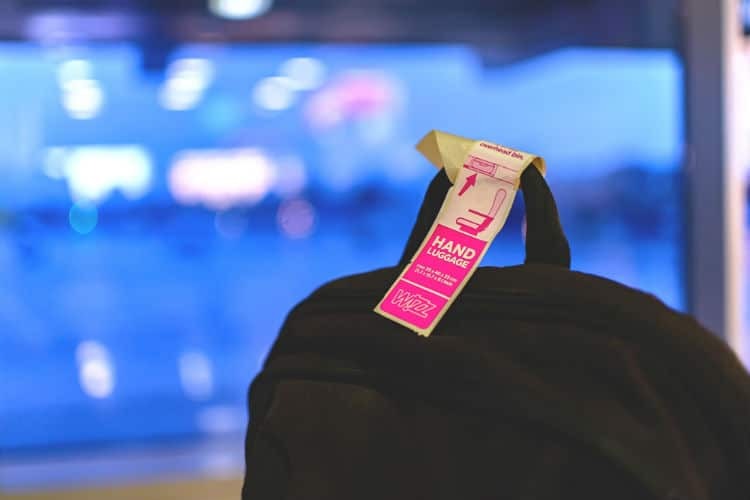 With Wizzair, it’s more important that your hand luggage fits the size restrictions. At many airports, Wizzair has a specific line before you enter the security check. This is where they control the size. However, I don’t think they have this at every airport, but I have seen in at least 4 airports where I’ve traveled with Wizzair. This is written by WizzAir PR department. It’s a summary of what you could find on their website. plus justifying all the crap service you get from them. Have you read more than 8000 reviews on tripadvisor ? Hello John, this is written by me and it’s not endorsed or paid for by Wizzair in any way. If you have any personal experience from a Wizz Air flight, feel free to share, but I would appreciate if you don’t accuse me of something that you have no idea about. All the articles on my website are my own words and experiences. Even sponsored posts would be my own thoughts, and I would never endorse anything that I don’t believe in myself. As for this Review of Wizz air, this is my experience from flying with them several times the last 4 years. 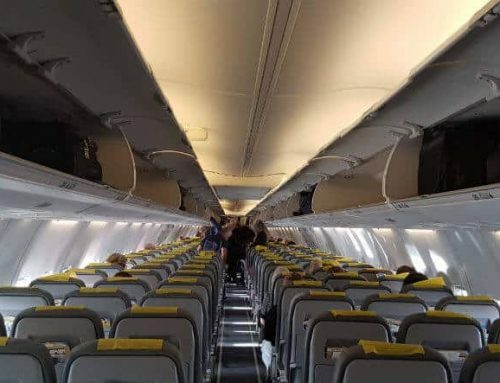 I know that others have had bad experiences, but I’m not one of them because I always make sure to follow the regulations while flying with low-cost airlines. But again, if you have had a bad experience with Wizz Air, it would be a lot more helpful if you share it instead. Just flew with them three times this summer and everything went smooth, followed the rules carefully. Was cheaper than anything. Just so you know, the cabin bag rules have changed since november 1st, now you can only take a small backpack for free.